How do I use a past project bid list for a new project (import a previous bid list)? 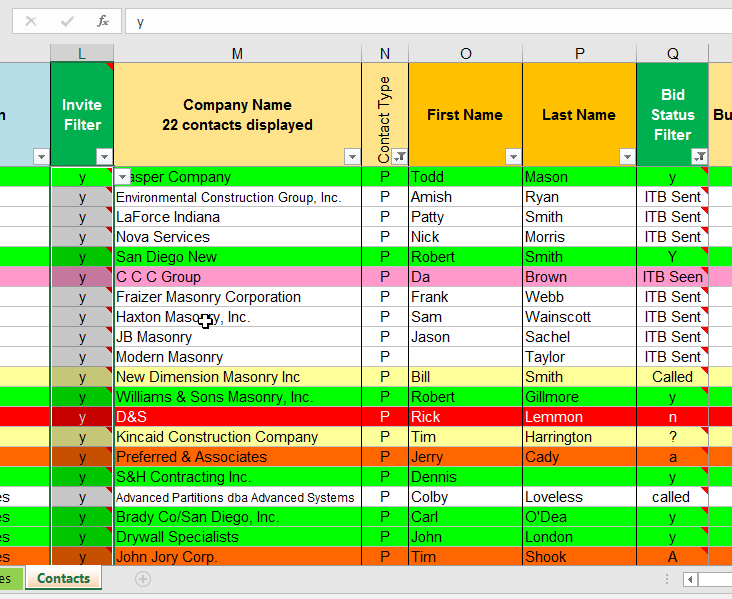 If you are starting a new project and know you bid a similar job in the past, you can import that older bid list’s selected CSI Codes, included companies, and invited contacts into the new bid list to save time. You can still make project-specific changes for the new bid list. 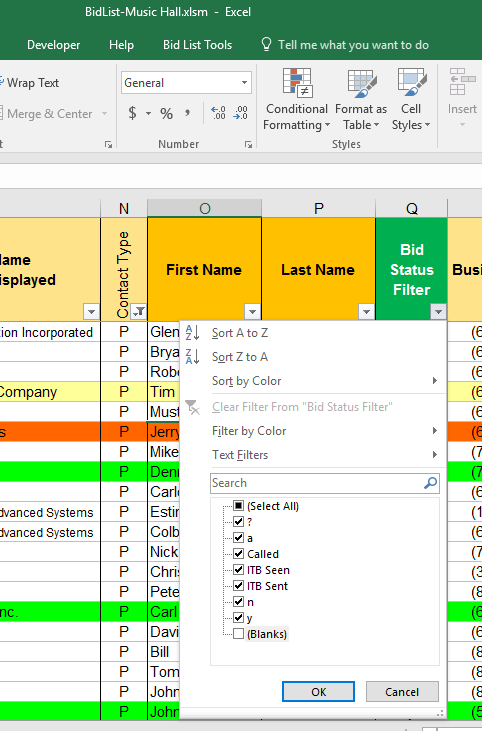 Create a new project bid list as you normally would, starting from your company’s Master Bid List. While on the CSI Codes tab, select the “Bid List Tools” toolbar and click “Import Past Bid List” button. Navigate to the old bid list with the data you want to import. Select the bid list and click “Open”. 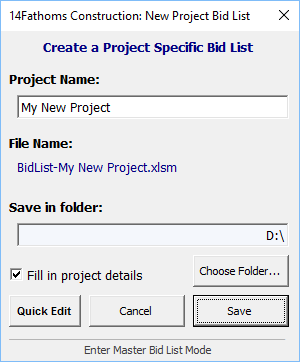 Click “Yes” to make the new project bid list exactly match the old bid list. This is the typical option if you haven’t already made any selections in the new bid list. Click “No” if you’ve already customized CSI, companies, or contacts you plan to invite. Choosing this option will just add the old bid list data to the new bid list. After the import is complete you will see CSI Trades have Ys in the “Include in Sublist” column from the old bid list. The company tab’s “Included” column and the “Invite Filter” on the Contacts tab will match the old bid’s data. Tip: If you didn’t use the “Invite Filter” column on the Contacts tab in the old bid list, those contacts will not be included on the new bid list. Put a “Y” in the “Invite Filter” column and drag it down. Save and close the old bid list. Redo the import from your new bid list following the import steps above. Note: Currently, the import does not carry over bid taker names or custom CSI descriptions on the CSI tab. Adding this functionality will be included in a future release. 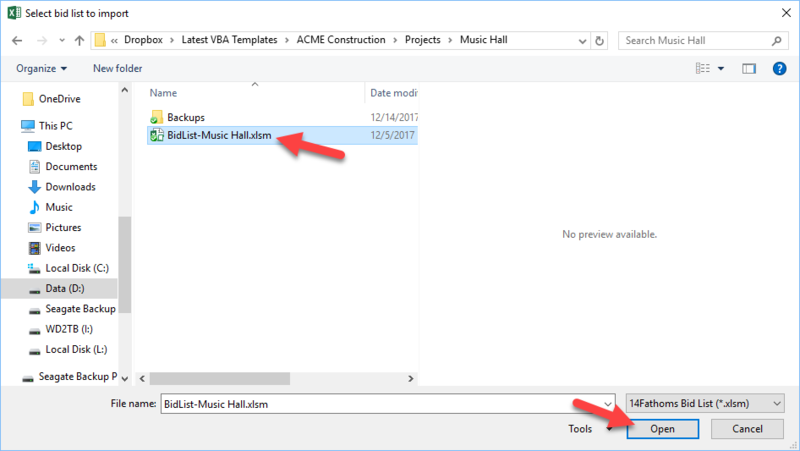 ← Why is my calculation mode set to “Manual”? I want it set to “Automatic”.